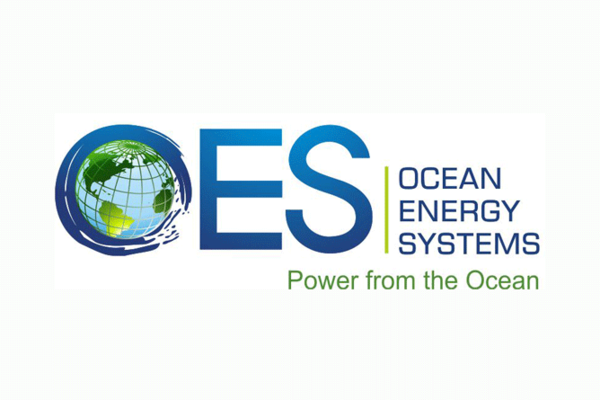 The OES Annex V workshop on Computational Modeling and Analysis of Marine Energy Converters (25-26 Nov 2013) was organised by Roger Bagbey (Cardinal, USA) and Bob Thresher (NREL, USA), and hosted by Henry Jeffrey (The University of Edinburgh, Scotland UK). Day 1 was themed around the modelling of tidal stream energy converters. Michael Togneri (Swansea University, Wales UK) described the development of their in-house code for modelling tidal turbines. The code finds an agreement between blade element momentum theory (BEMT) and momentum flux estimates of changes in momentum. The code can model wave conditions and includes a generator model. It can be used to investigate cavitation and tower shadowing. The code does not model the free surface or dynamic stall. Ongoing development includes turbulence and radial flow. The code may be available to others, but requires a licence. Zhang Liang (Harbin Engineering University, China) described the University’s involvement in tidal energy research since 1982. They have a towing tank and a large deep-water wave basin. The group is presently investigating two tidal energy concepts: a horizontal axis turbine, and ship-like floating structure supporting vertical axis turbines, which are pitch controlled, and can be lifted out of the water. The horizontal axis turbine was modelled using BEMT. In 2008 they installed a demonstration device that looked similar to OpenHydro, and this was operational for two years. The vertical axis turbine was modelled using a stream tube and vortex model. The free surface was modelled. Ansys was used for the fluid structure interaction analysis. The graphs indicated that some power was lost due to the dynamic response of the support structure. James van Zwieten (Florida Atlantic University, USA) described the Southeast National Marine Renewable Energy Center's simulation of a tidal turbine using BEMT (Matlab) and lumped node simulation of mooring lines (Oraflex, called iteratively by an external C++ function). The model can deal with the 6 DoF of the floating support structure, and variation in velocity profile due to waves. They have a sensor model that accurately reflects the amount of noise in the sensors (their ADCP data is available real-time at 1Hz). They are planning some tow tests at sea to provide validation data. Present limitations are that the velocity variation due to depth is not modelled. Future plans for development include simulation of turbulence, downstream wake fields, and collaborative control. Jochen Bard (Fraunhofer Institute, Germany) described the Fraunhofer Institute’s involvement in tidal and wave power research and development. Tidal power work included Seaflow, Seagen, and Kobold I & II (a turbine for powering a village in Indonesia). Wave power work included the IPS buoy, the Irish OE buoy, and Wavestar. For modelling tidal turbines, they used a combined BEMT and CFD approach. They have modelled horizontal axis and vertical axis turbines, as well as oscillating hydrofoils. They are able to model the velocity shear profile, turbulence, wakes, sensor models, electrical PTO models, structural loads, and control. The code does not model the water free surface, but uses correction factors to account for this. They do site characterisation, PLC design, and hardware in the loop testing. They are involved in a project developing real-time wave prediction, using data from a waverider buoy to predict conditions at an OWC in Spain. In the Seaflow tidal turbine project, they correlated upstream ACDP data to generated power. The power was greater than that predicted by the ACDP data because the flow 100m ahead was higher than at the turbine site, and the dynamics had not been modelled. Dean Steinke (Dynamic Systems Analysis Ltd, Canada), presented this University Spin-off company’s floating body modelling software, ProteusDS. This is a non-linear equation of motion software that has a good moorings model. The lumped-mass mooring is represented with FEA, which is fully coupled with a Cummins-equation based dynamic model, with additional non-linear terms such as end-stops, power capture, or viscous terms. It is written in C, and can be tapped into with Java or Fortran. It imports hydrodynamic data from WAMIT or their in-house hydrodynamics code, ShipMo3D. These products are commercially available. Tim O’Doherty (Cardiff University, Wales UK) described the CFD used to model a tidal turbine. Fluid-Structure interaction was modelled using Ansys, by considering a rotating fluid, rather than a rotating turbine. This was validated using data from tests at Liverpool University. The code was used to estimate deflections, stress, fatigue, and lifetime predictions. Further work includes modelling the sea surface, the water column depth, turbulence, bathymetry, and wave interaction. Detailed blade links to the hub are not modelled. Jochen Bard commented that BEMT models might be useful for modelling the shaft loading. Jarle Berntsen (University of Bergen, Norway) described tidal power research within his group. He mentioned the Morild II device, which was destroyed after 3 months of operation during a storm, tidal sails, and a Darieus type turbine called the Pulsus. He presented some work on the Bergen Ocean Model. This is an oceanographic model of the Lofoten area in Norway: there is not a big tidal range, but there is a good phase difference across some long islands that lead to promicing tidal flow rates. The code is open. It represents both potential and kinetic energy, and transformation from potential to kinetic energy in the flow through tidal inlets. Justine McMillan (INORE/Dalhousie University, Canada), spoke about their Finite Volume Coastal Ocean model. It was used to model the flow through Digby Neck in the Bay of Funday. The shape of the island looked similar to that shown by Jarle Berntsen. The model is an open source code, and has an unstructured grid. The free surface was modelled; waves are presently not included in the model. The model was validated using ADCP measurements at several points. The metrics comparing the measured and simulated data included ebb/flow asymmetry, power and velocity. Accurate bathymetry data was found to be important for accurately modelling the phase of tidal flows. Using this model the team identified a promicing site in this area, based on the speed of the tidal current, the water depth, seabed slope and access. Richard Willden (Oxford University, England UK) described his work on ‘Design for blockage’ reported in the JFM (Nishino & Willden, 2012). This is a generalised rather than specific model of a turbine array. Actuator disks are used to model each turbine, and the water surface is modelled. The results are quite surprising: when tidal turbines are closely spaced, the Betz limit no longer applies: the upper limit for the performance coefficient increases to 0.798. Richard described the ‘partial tidal fence’ model – bathymetry and the need for shipping lanes mean that a full tidal fence (e.g. between islands) is impractical. There is an optimal turbine spacing to increase the total performance of the array: too close and this chokes the flow. He estimated increases of around 10%-20% in energy capture due to operation in a partial tidal fence, as the turbine operates at rated for longer. He pointed out that the increased power came at the cost of increased thrust, which suggests that turbines would need to be designed specifically to be installed in partial tidal fences. James Nichols (GL Garrad Hassan, England UK) described their commercial products for tidal modelling. Tidal Bladed allows models to be built from self-contained modules. Water depth, turbulence and waves can be included in the model. Impulse response functions for hydrodynamic response can be included from WAMIT or Ansys Aqua. There are control system modules that can be used for hardware in the loop tests. Different generator modules are available, and this allows the modelling of fault events. The model can be run with measured (as well as simulated) data. Scale model validation tests were performed at Southampton, and measurements from a 500kW turbine (part of the reDapt programme) were used for large scale validation. As GH is better known for their wind-turbine ‘Bladed’ software, I asked how tidal modelling differed from the equivalent problem for wind energy. James replied that there were added mass effects on the rotor, and that acceleration was more important because of the increased fluid density. Takafumi Kawamura (CFD Consulting, Japan) reported on a joint industry-academia project, supported by the Ministry of Trade. Mitsubishi Research and the University of Tokyo were involved. There were projects on resource assessment, turbine performance modelling, and environmental impact. A tidal turbine was modelled using blade element momentum theory. Results from Fluent and Open FOAM were compared to those for BEMT. Andrew Gerber (University of New Brunswick, Canada) was promoting a new CFD code that has been specifically designed to take advantage of ‘many-core’ systems (which include both CPUs and GPUs). To demonstrate the code, an ocean model had been implemented using a very fine spacing. This was not benchmarked against standard CFD, but the computational time was estimated to be around 60 times faster. Brian Fabien (University of Washington, USA) described their code for modelling mooring line dynamics. The rationale for this project is that much of the US wave and tidal stream resource lies in deep water, so slack mooring will be required. The code interfaces with Proteus, WAMIT, and Orcaflex. It is written in C, so it runs much faster than code written in Matlab. It is a fully coupled equation of motion solver for floating bodies and their mooring lines. The mooring lines are modelled as segmented bodies. David Ingram (The University of Edinburgh, Scotland, UK) described the tidal modelling work at Edinburgh, which includes Coastal Ocean Modelling (modelling the Hammerfest turbine operating near Islay), and turbine modelling. The turbine modelling considered both BEMT and actuator disks. For the coastal modelling, Code_saturne was used. David mentioned that it operates well on many-core machines. The model took a week on a supercomputer with the power consumption of Penicuik (a small town near Edinburgh). Imperial University’s open source NS solver ‘Fluidity’ was also used. Day 2 was themed around the modelling of wave energy converters. Josh Davidson (NUI Maynooth, Ireland) described his PostDoc research. The most common WEC model is based on the Cummins' equation, and makes use of parameters derived from the solution of the linearised Navier-Stokes equations. Josh's project involves building a parametric model that instead derives parameters from the non-linear Navier-Stokes equations, calculated using CFD. Free decay responses are simulated in a numerical wave tank. The same state-space approach for modelling radiation used by Marco Alves (WavEC) forms the basis for this model. Future work includes experimental validation; experimental datasets are needed. Ben Child (GL Garrad Hassan, England UK) gave an update on the WaveDyn software, developed under the PerAWaT program (Performance Assessment of Wave and Tidal Array Systems). WaveDyn, which is used to simulate the motions and forces, is now commercially available. It can deal with multiple body WECs and small arrays. A genetic algorithm was used to optimise array lay-out. WaveDyn has been verified with Oxford University's non-linear code, validated with tank tests at Queen's University, ECN (Pelamis), and MARIN (Wavebob ), and Beta tested by EMEC and E.ON. WaveDyn options include a frequency domain model and the spectral domain model described by Matt Folley (Queen's). In seas where the behaviour is non-linear, the non-linear spectral domain model gives a better estimation of power capture, while the linear frequency domain model gives a better estimation of interaction factor. Matt Folley (Queen's University Belfast, Northern Ireland UK) presented the Spectral Domain model. This uses terms from the frequency domain model (the Fourier Transform of the Cummins' equation) and, in addition, heuristically determined terms to cover non-linear effects. Whereas frequency domain models can describe the phase response, spectral models involve outputs (e.g. power capture) for which the phase of the input sea-state is not relevant. The spectral model has a run-time comparable with a frequency domain model, and an accuracy comparable with a time domain (Cummins') model. This makes it useful for estimating annual energy production. The short run-times of spectral models facilitate the use of measured spectra. The long run-times of conventional non-linear models have encouraged the use of synthetic spectra (e.g. Jonswap) and scatter plots. There is growing awareness that spectral shape is important for estimating power capture. Matt advised caution when validating models (or deriving heuristic parameters) with tank-test data. He noted that for the PerAWaT testing at Queen's, the results for a symmetrical array of WECs were not symmetrical. Validation must also be appropriate, e.g. air compressibility must be accounted for in an OWC. Future work on this technique includes modelling the transfer of power between different frequencies. Kim Nielsen (Ramboll, Denmark) discussed the Danish funded research consortium, 'Structural Design of Wave Energy Devices'. Project partners include the University of Edinburgh, Fraunhofer, and WavEC. There are workpackages on resource, moorings, PTO, and reliability, but the core of the project lies in the development of a wave to wire model. The tools being developed can be applied to WECs with different operating principles and types of PTO system. Various control methods (e.g. Colomb damping) can be modelled. Imanol Touzón (Tecnalia, Spain) discussed Tecnalia's development of a modelling tool for WECs. Scilab and MATLAB were used for frequency domain models. Time domain models were based on Cummin's equation, with additional non-linear terms. Comparisons were made of calculating the radiation convolution term using direct integration, Prony's method, and state-space identification (Perez & Fossen). Moorings were included in the model. Technalia considered both quasi-static models, where WEC motions do not excite mooring dynamic modes, and dynamic models (using Orcina), where the response of the lines is included. There was some audience discussion about how to model restoring force associated with a hydraulic PTO: whether the spring term contributed to reactive power flow, and whether the spring acted in series or parallel with the damping. David Forehand (The University of Edinburgh, Scotland UK) described the wave to wire model modelling tools he has been developing with colleagues. This is time-domain simulation implemented in Simulink. The radiation part of the linearised hydrodynamics has a state-space representation. An animation was shown to demonstrate how waves diffracted and radiated off one WEC in an array can impact neighbouring WECs. David emphasised the importance of modelling wave directional spreading; the assumption of uni-directional waves is not appropriate for many WECs. Work on the modelling of interaction with the electrical network was showcased. A network fault was simulated. Generator over-speed is avoided because the accumulators provide a short-term energy storage, giving the system enough time for safety mechanisms to activate. Peter Stansby pointed out that this would not be the case in systems without this buffer, such as linear generators. Darragh Clabby (Resolute Marine Energy, USA) described the methods used by his company to model their bottom-mounted hinged flap device, SurgeWEC. WAMIT is used to provide hydrodynamic coefficients for a parametric model. This model was used to optimise the geometry according to economic criterion. Darragh mentioned that survival strategy in the event of plunging breakers was to allow unhindered motion rather than locking the device down to the seabed. Yage You (Chinese Institute of Sciences, China) introduced the diverse research projects conducted over the years at the CIoS. They have conducted numerical and experimental investigations of devices called the Duck and the Eagle. The Eagle is a pitching flap mounted on a large (mostly submerged) barge. In modelling the kinematics of multi-body WECs, constraining forces are imposed on some of the bodies. This differs from the generalised mode method, which removes from the equation of motion those modes of motion which are entirely dependant on other modes, allowing them to be later calculated as algebraic functions of the system (independent) degrees of freedom. Mike Lawson (National Renewable Energies Laboratories, USA) showcased the modelling tool, WEC-Sim, being developed at NREL. This is a general purpose modelling environment, that allows the system to be specified graphically, by dragging and dropping ready to use modules. The hydrodynamics are linearised; inputs from several BEM codes are accepted. The time domain simulation can calculate the radiation convolution integral directly or use state-space (which is 70% faster). The tool is ear-marked for open-source release. Note it is written in MATLAB (using the SimMechanics and Wafo toolboxes). The simulation is compiled to C code, so a 1000 second simulation runs in only a minute. There are a choice of moorings modules (written in Fortan, C++, and Python), including both quazi-static and fully dynamic FEA models. The code was applied to the DOE reference model 4, which is a barge-mounted pitching flap. Mike noted that including the motion of the barge in the model resulted in 50% less power production than when the barge is assumed to be stationary. Jochem Weber (NUI Maynooth, Ireland) presented his work on the readiness-performance matrix. He showed that an economical technology development paths would seek to design in good cost of energy in the early stages, rather than seeking to optimise a concept after expensive trials aimed at increasing the readiness level. Such a design strategy would need to be able to assess economic potential at early developmental levels. He presented the criteria that impact on the cost of energy. Each individual criteria must satisfy a minimum level (for example, the criteria with the highest threshold is survivability) These criteria are then combined using weighted sums to give an indication of the potential for cost-effectiveness. Ronan Costello (NUI Maynooth, Ireland) gave a quick overview of the ongoing work on a techno-economic optimisation tool. The model uses low level inputs, which reduces the need for making assumptions about the specifics. The availability and Opex are estimated from failure mode effects analysis and from calculations of probable weather windows for a given resource. Marco Alves (WavEC, Portugal) described the modelling tools developed at WavEC. This allows time-domain simulation of multi-body WECs and small arrays. The radiation part of the linearised hydrodynamics has a state-space implementation. Matt Folley asked how the order of the state-space model (number of coefficients) influenced accuracy, and whether stability could be guaranteed. Marco explained that state-space only becomes unstable at very high orders, and is usually stable at fourth order. The procedure followed is to start at second order, and if the accuracy (degree of fit to the WAMIT hydrodynamic coefficients) is not acceptable, to then try a higher order model. Typically the fitted function is within 8% of the WAMIT coefficients. The model includes second order forces such as drift, and second order Froude-Krylov forces . There is a quasi-static mooring implementation. PTO specifics, such as the speed of a turbine in an OWC, can be represented. The code has been experimentally verified (RAOs and decay tests). The model is not openly available, but has been shared with collaborators. The SDWED project has used the tool to model the Wavestar. The tool has also been used to build a wave to wire model of a floating OWC. The code was initially written in MATLAB, but now the simulation runs in Fortran, with the inputs entered in MATLAB. Marc Guyot (France Energies Marines, France) announced a new Institute dedicated to applied R&D for marine renewables(floating offshore wind, wave, tidal stream and OTEC). Part of their remit will be to set up test sites in France. They have a budget of €150 million over the next 8 years. Research into new concepts, control, and structural analysis will have a strong focus on cost of energy. Following the talks, Roger Bagbey chaired a discussion of what further actions were required. Several delegates identified that it would be useful to have common reference models, along with benchmarking data sets. Ben Child announced that the experimental datasets used in the PeraWATT project would be available soon. It was noted that some sets of reference models already existed, e.g. those used by NREL or suggested by Babarit et al's comparison study. Jochen Bard called for reference models that were representative of “what's actually going to be in the sea”. Acknowledgements Thank you to Roger Bagbey for squeezing me into this fully subscribed workshop, in return for this write-up (it is entirely my fault that it is so long!). Thank you also to all the authors who suggested changes to the text. I think in your summary of Josh Davidson’s work you mean normally WEC models based on Cummin’s equation use parameters determined using a potential flow solver (such as WAMIT, NEMOH etc) rather than “solution of the linearized Navier-Stokes equations”. The assumptions involved in the use of a potential flow solver (such as WAMIT, Nemoh etc) are more involved than a straight linearization of the Navier-Stokes equations. (Inviscid, irrotational and incompressible flow to start with. See e.g. Mei for the others). There is more than one way to linearize the N-S equations too. Your round-up discusses three off-the-shelf Cummin’s equation solvers targeting WEC modelling – two commercial (WAVEDYN and ProteusDS) and one opensource (WEC-Sim). Did the various speakers representing these solvers offer any views on how their offerings would differentiate themselves from one another? Any personal view on this?